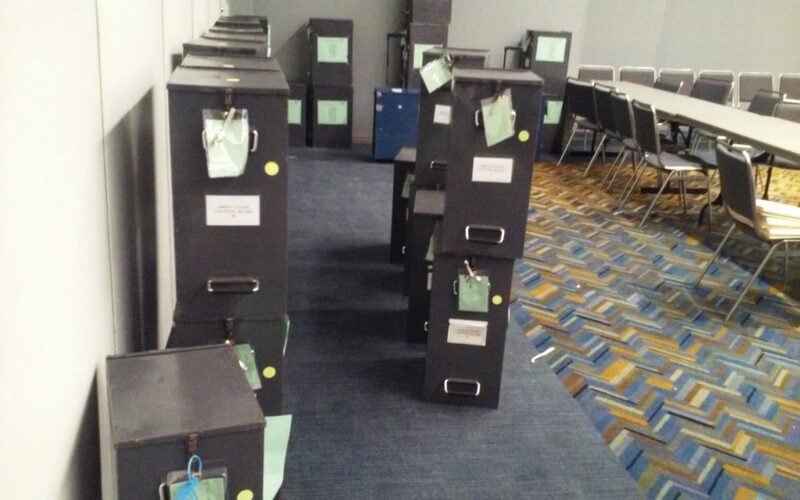 Ballot boxes were brought into a room at COBO Hall in preparation for the Detroit Proposal R recount. 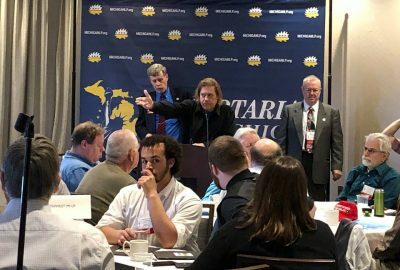 This candidate was selected at a state convention, but a candidate’s views and activities are not necessarily endorsed by the Michigan Libertarian. 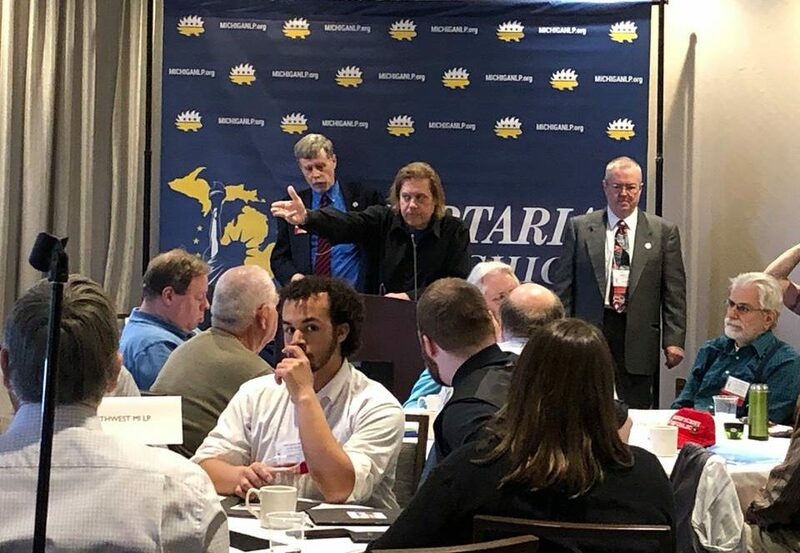 Detroit, MI – Scotty Boman is the Libertarian candidate for Michigan Board of Education, but that hasn’t taken him away from local politics. He is also founder of Detroit Residents Advancing Civilian Oversight (D.R.A.C.O.). He appears to have been unsuccessful in preventing the Charter Revision (Proposal R) from passing, but he hasn’t given up on his mission to preserve the Detroit Board of Police Commissioners (BOPC). On September 30th he announced that he would be holding a candidate forum for Charter Commission Candidates, with the future of the Board of Police Commissioners being a central topic. The forum will be held on Sunday on October 14th at the Samaritan Center 5555 Conner St, Detroit, MI 48213. Boman isn’t convinced that the Proposal R (the ballot question that opened the Charter for revision) passed in a fair election. He and two other Detroit residents, Gregg Newsom and Lucinda Darrah, successfully petitioned for a recount of some Detroit precincts. 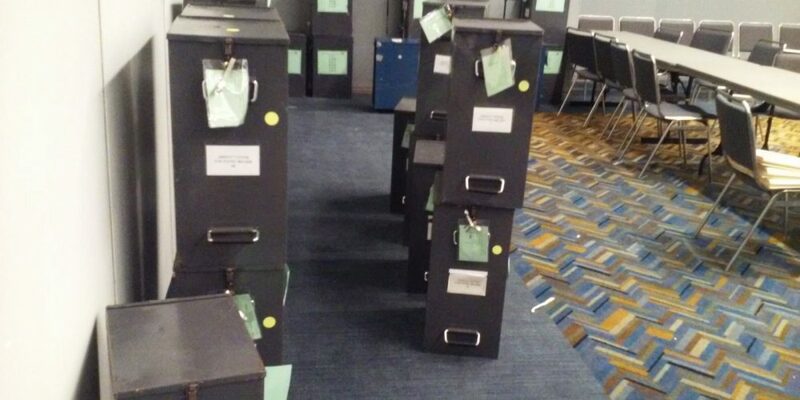 On September 6th they attempted to recount 65 of Detroit’s 503 precincts, but were only able to recount 61 of them. The measure had reportedly won by 184 votes, but the challenges were able lower that difference to 173. However a much larger number of votes could not be recounted. Four precincts were said to be “uncountable.” The number of ballots in those precincts was 520, much larger than the difference between “Yes” and “No” votes. 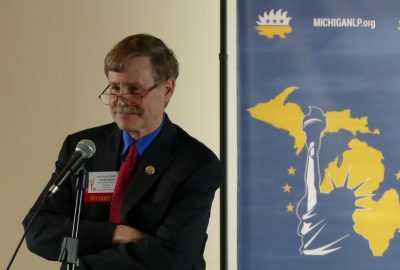 Michigan election law allows results to stand when discrepancies between log books, machine counts, or the physical number of ballots renders a precinct “uncountable.” In one case, two precincts that were stored in the same “sealed” ballot box were missing 38 of the ballots that were on record as having been placed in the box. 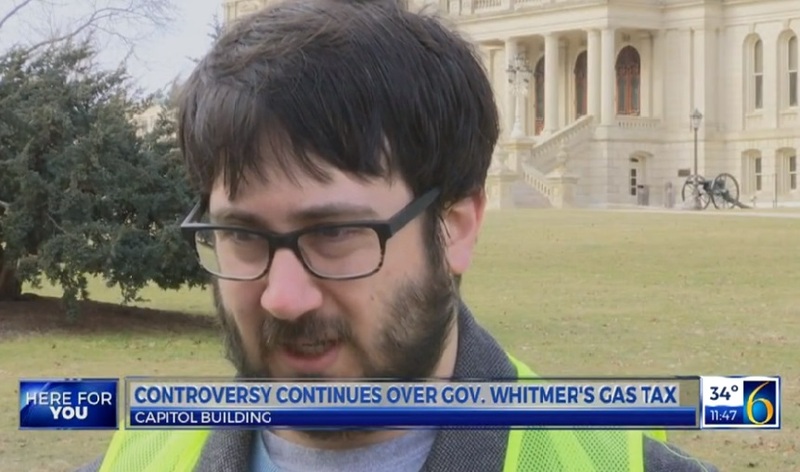 If the Attorney General fails to act within 30 days, the matter will be passed on to the circuit court. Boman is seeking an attorney to take the action to that level. 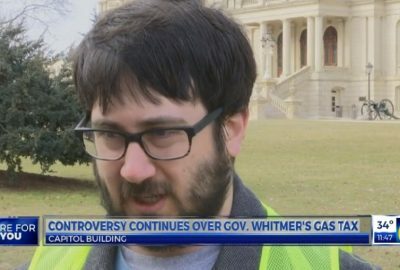 Luke Sciberras being interviewed by WLNS at the Capital Area LP "yellow vest" tax protest outside the Michigan Capitol. That’s why you’re not winning more. People would rather be controlled or would rather control other people. It's too bad most Libertarians are too busy fighting each other and claiming that each isn't a "real" libertarian because of (insert arbitrary reason). 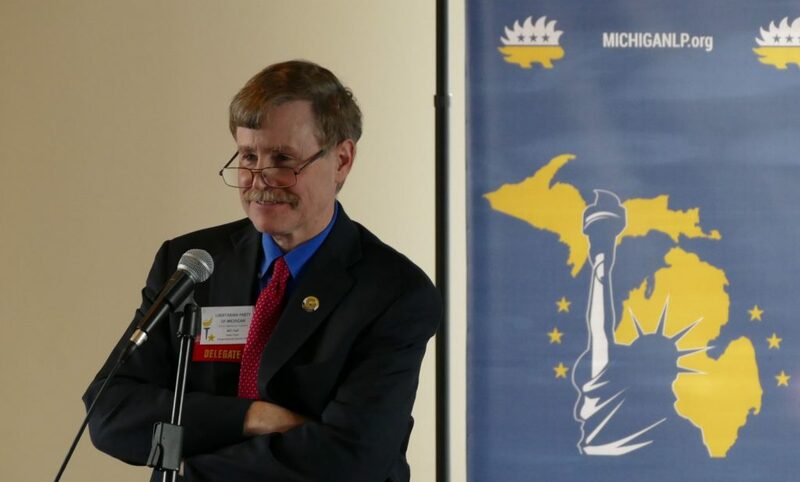 Michigan must redraw legislative and congressional districts for the 2020 election because GOP lawmakers gerrymandered the maps, a federal panel ruled. They can sure come up with some crazy looking Amphibian looking creatures on this map!